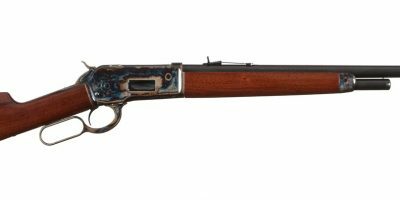 Starting with a newer Winchester Model 1886 Extra Light High Grade rifle we have converted this example to 475 Turnbull. The rifle has been fitted with a new 24″ round barrel. It features Turnbull color-cased hammer and lever, as well has a hand-blued receiver. 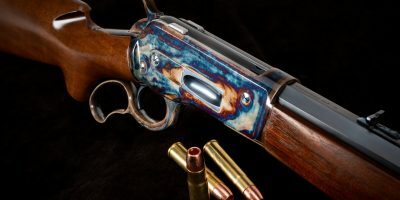 In addition, this example features standard factory Winchester engraving and H-pattern wood checkering. 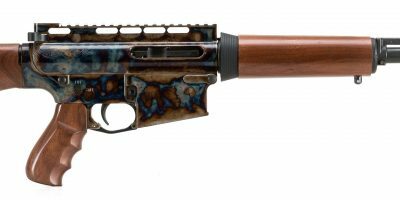 This rifle boasts as-new condition, with minor handling marks. For more information or photos, please call us at 585-657-6338.